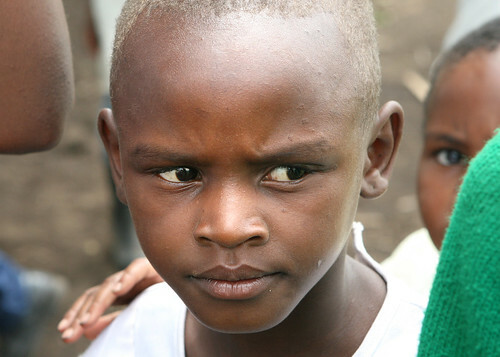 This girl at a school near Arusha was very timid, but her blonde hair stood out among the other children. Although this has an Attribution-ShareAlike license on it, I do not have a model release. I highly recommend the tour company we used on this trip: www.thomsonsafaris.com and the organization who planned it for us: www.familyadventures.com.